Sandra, owner of Sparrow Strands Enterprises, contacted us in need of some help. She created a website by using the AT&T website building platform but was unable to do some updates to her site that were needed. Sandra indicated that she was looking to have an eCommerce website done and that she built the site using their web builder, but was unable to add PayPal buttons to the site to allow visitors to purchase items. She sent us over the proper coding required for each of her products and we went in and added the PayPal buttons. We then published her site and made it so she is open for business! A million thanks to you for helping me. I just got a lump in my throat as I type. I started this in Feb with no help from anyone. I was hard for me as I know very little about computers. Than I came to the pay pal buttons I was so stressed out I could not do it. Than I found you. God Bless You. ” His eye is on the sparrow and I know he watches me”. I may need you in the future and I will recommend you to others. We appreciate the business from Sandra and hope we will be able to help her in the future as well! 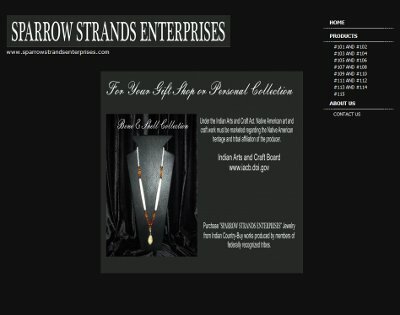 Sandra’s site is at sparrowstrandsenterprises.com.